For students at Grand Valley State University who wish to stop drinking or using other drugs, Alcohol & Other Drugs Campus Education Services (ACES) is hosting a 12-step meeting with coffee and meditation Tuesday, Sept. 5, from 8:15 a.m. to 9 a.m. in Room 0073 of the Kirkhof Center. Holly Cole, a graduate of Grand Valley State University, will serve as the new director of grants and programs at the Grand Haven Area Community Foundation. Grand Valley State University students Matt MacGregor and Zach Darmofal teamed up with three other Michigan college students and Comfort Research to send a 2.27-pound “Big Joe” bean bag chair into space. The new performing arts center has now been formally named the Thomas J. and Marcia J. Haas Center for Performing Arts in recognition of the endowments made by the Grand Valley State University president and his wife. A ceremony to commemorate this naming will be held Friday, Aug. 25, in the Louis Armstrong Theatre on the Allendale Campus from 2 p.m. to 4 p.m. Remarks will be given at 2:15 p.m.
A new website featuring the policies of Grand Valley State University was launched Thursday, June 1, by the Division of Legal, Compliance and Risk Management. The website is being called the “authoritative location” of all of the university policies approved by the Board of Trustees. 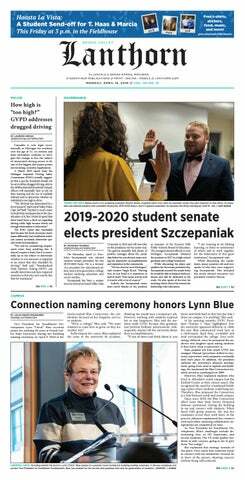 It contains policies that were originally found in separate locations for students, faculty, staff, the president’s cabinet, contractors and vendors, and campus visitors. The 44,000 square foot addition on the east side of the Performing Arts Center that will include a black box theater, theater support spaces, two theater classrooms, three ensemble rooms and a student study space will be completed and occupied by August, according to James Moyer, associate vice president for facilities planning at Grand Valley State University. The $20 million construction project was approved by the Board of Trustees in April and began in May. At a retirement celebration honoring the legacy of Grand Valley State University Provost and Executive Vice President for Academic and Student Affairs Gayle Davis, GVSU President Thomas Haas announced a new scholarship in Davis’ name.